Efficiency in the workplace isn't about how much space you have. 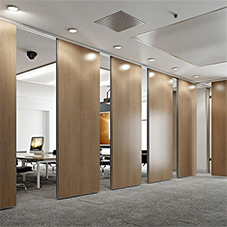 It’s about using space to create a seamless workflow for people and being able to manipulate your surroundings. 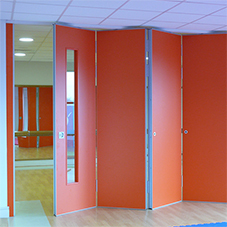 Movable partitions allow multiple activities to happen in close proximity to one another, accommodating different settings that support different activities. So how will the landscape change to accommodate the next generation of work-space? The next generation work-space is where flexibility and adaptability continue to be important but where workers can manipulate their surroundings and express their creativity. The Whiteboard Movable Wall appeals to the anarchist within each of us, unleashing our creativeness and ability to effectively communicate. 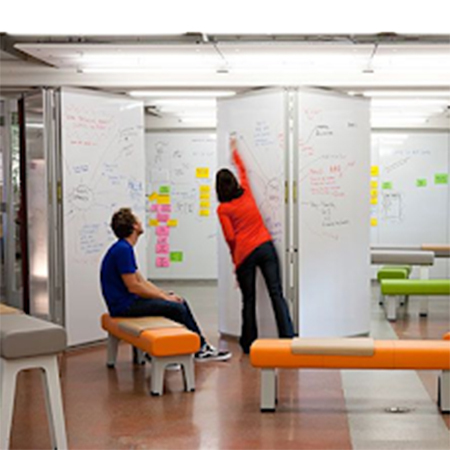 Movable walls which double up as whiteboards can be written on from floor to ceiling and are increasingly becoming part of the corporate space design, fostering creativity and collaboration. 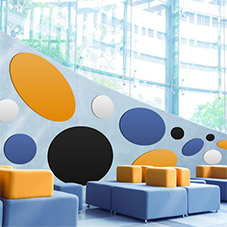 What starts off a movable wall can easily be transformed into a space for brainstorming sessions, bringing ideas to life and creating a sense of community without any constraints.